FAQ is a list of frequently asked questions and answers about the cruises. Why do people scatter cremains at sea? Individuals can find or create a personal sense of meaning, symbolism and significance in the scattering cremains at sea. 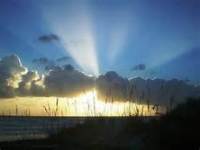 Some general symbolism of scattering remains are letting go of your loved one of a "free spirit" personality; letting go of your grief; freeing loved one's soul; a connection to particular place or returning your loved to the earth "Circle of Life". Yes. Dignity at Sea is available by telephone and/or email, to schedule a time and date for the cruise. Once the reservation is confirmed, the client will be provided with "Confirmation Email" with date, time, directions, parking availability, hotels, local restaurants etc…. How many passengers can Dignity at Sea accommodate and cost? Whether your group is small or large, Dignity at Sea will make every effort to accommodate. Price will vary depending on several factors, the port you depart from, number of guest attending, length and time of trip and additions, which is why we do not list our prices. The reasonable quote will be total cost with NO HIDDEN FEES. Are Cruises available on the weekends? Absolutely.... Dignity at Sea-Cremation Scattering Cruises are available Seven (7) days a week. Please note, weekends are in high demand, and book quickly, since it’s more convenient for most people to gather for an event. What is the best times of the year to schedule a Cruise in Florida? 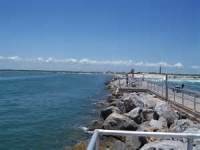 OFFSHORE CRUISES - Attended Memorial Cruises - Weather varies in Florida. Spring/Summer have very nice marine conditions (March - October); (November thru February) On many occasions, offer great cruising days, as well. 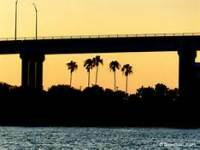 RIVER CRUISES - It's the best year round in Florida. Yes, Dignity at Sea offers private charter - River Cruises. Yes, it has been proven to be the best and most reliable method. Most cremated remains are shipped to us via registered mail. United States Postal Service’s registered mail is by far the most secure form of transportation. The shipment is protected by the United State Government and guarded in a government facility. How are the cremations dispersed from the boat into the ocean? The Captain/Mate, with voluntary assistance from a family or friend, release the cremated remains directly into the ocean. Some families prefer biodegradable urns which are laid onto the ocean and slowly disappears and disburses cremated remains. Would our family and guest’s be the only ones on the vessel at the time of cruise? Absolutely.... The vessel is exclusively reserved for you, family and guests only. The 50ft motor yacht features in a full galley, refrigerator, ice maker, staterooms, salon, bathrooms, two enclosed decks, creating lots of lounge area and open bow for those who enjoy the breeze and sunshine. The stereo system can be heard from any point on the vessel. Can you accommodate special needs guest? Dignity at Sea is not equipped to accommodate wheelchairs. Some families with special needs guests, like to perform an intimate gathering on land at local restaurant, for all to attend, then selected family/friends board and proceed offshore. What areas of the Atlantic Ocean does Dignity at Sea provide services? Vessel's Home Port - Inlet Harbor Marina, 133 Inlet Harbor Rd., Ponce Inlet, Florida. 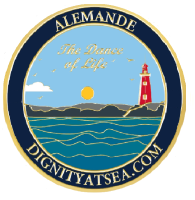 Dignity at Sea - Cremation Scattering Cruises also provides services to the following ports: St Augustine & Port Canaveral for an additional cost. "Attended" Memorial & River Cruises - Final payment is accepted at completion of services. 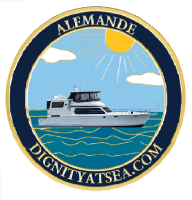 Currently, we only accepts cash, personal check, money order or cashier's check made payable: DIGNITY AT SEA, LLC -- Credit Cards are not accepted at this time. "Unattended" Memorial Cruise - money order or cashier check must be enclosed with cremains, if shipping.